Top choice for luxury villa holidays in Croatia! pool and personalized premium service! Luxury 6 bedroom beachfront villa with heated infinity pool & high level of personalized service, exclusively designed, surrounded with 250m2 of sea view terraces and large eco gardens... Villa Gumonca is a place of true well-being! Villa Gumonca is our best and most luxury, award winning villa in peaceful Mirca, close to Supetar, central town of Brac island, Croatia. Villa is situated just few meters from the beach and with spacious outdoor areas offers fabulous views of the sea and the mainland. 320 m² of interior are decorated with design furniture. The villa can accommodate up to 13 guests and consists of a 4 bedroom main house and 2 bedroom annex. On the ground floor of the main house are 3 bedrooms with en suite bathrooms, each with its own small terrace, extra toilet with a laundry, spacious living room with TV set and fireplace, dinning area and centrally positioned main kitchen with long bar. Master bedroom on the first floor of the main house is the biggest bedroom in the villa. Next to the room is a big bathroom with a shower and jacuzzi bathtub for two. Master bedroom has direct exit to a huge first floor terrace with fantastic views of the sea and sunsets. The guest annex and the main house are just next to each other and are connected with porches and terraces. The annex consists of 2 more bedrooms, 2 bathrooms and additional gourmet kitchen. Sea side outdoor area features a large veranda on stone pillars, bringing shade over a dining table for 14, a wooden pool deck area with a number of sun-beds and 24m² heated infinity swimming pool. Villa is surrounded with gardens and lawns and has direct access to a petty pebble beach. The path leading to the beach passes between a small vineyard and a garden featuring organic fruits, vegetables and a variety of Mediterranean herbs. Villa Gumonca offers high service level: every day cleaning service, pool maintenance and concierge on call are included in the price! Pool is heated from end of April to beginning of October. SCROLL DOWN for more information about our SERVICES, villa's LOCATION, PRICE AND AVAILABILITY , view more photos in PHOTO GALLERY or CONTACT US to book your next Gumonca villa holidays! Contact us for help with booking additional services! Green living in Villa Gumonca! Luxury Villa Gumonca is built to highest standards with respect of ECOLOGY, ENERGY EFFICIENCY, NATURE and LOCAL COMMUNITY. Water is heated using SOLAR POWER, waste water is biologically processed, swimming pool is also heated by solar systems and for cleaning we use only BIODEGRADABLE products. The custom made WOODEN FURNITURE is made of solid oak wood from sustainable production, treated with bio oils, without toxic polishes. We are particularly proud of our ORGANIC VEGETABLE GARDEN where our guests can pick healthy and delicious seasonal vegetables, herbs and fruits. It is like your own PRIVATE GREEN MARKET! To season it, we will treat you with a bottle of our family's own ECOLOGICAL OLIVE OIL - symbol of healthy Mediterranean diet and our Brac island! ***Pool in the villa is not gated! The depth s 135 cm. 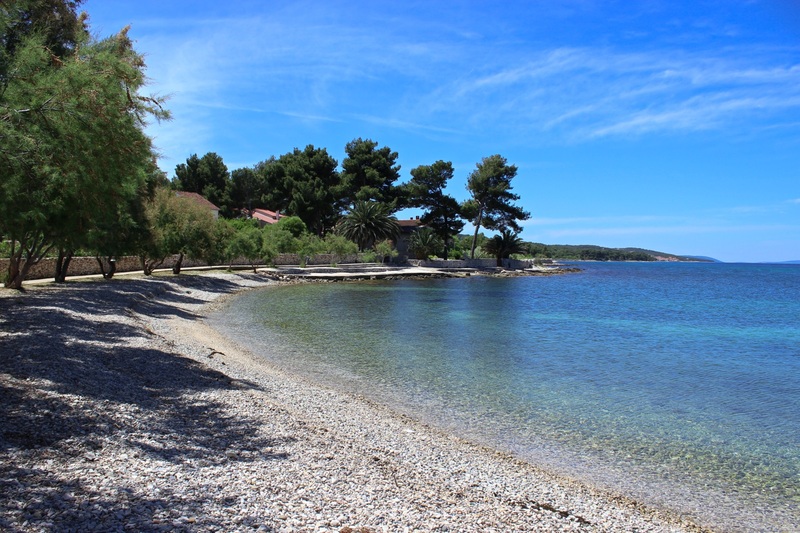 Villa Gumonca is situated on Brač, one of the most beautiful and easily accessible Croatian islands, in peaceful village Mirca, 3km from the lively town of Supetar and only 1 hour by ferry from the biggest Dalmatian city of Split. We spent one week at Villa Gumonca and were very impressed. The kitchen was very well equipped with everything you could need - garlic press included! (often missing in holiday lets). The manager Sanja was so helpful arranging bike hire,taxis and a lovely vineyard tour for us. Nothing was too much trouble. We really enjoyed the complimentary olive oil and we were encouraged to eat all we could pick from the large gardens - fresh figs,grapes and tomatoes were especially good. Very close to a clean beach and a friendly little restaurant. We really enjoyed the complimentary olive oil and we were encouraged to eat all we could pick from the large gardens - fresh figs,grapes and tomatoes were especially good. The villa itself is finished to a very high standard. All of the fixtures, fittings, and overall look and feel have been designed to make the discerning holiday maker feel completely comfortable with the surroundings. The en suite to the master bedroom was particularly nice, a wet room with walk in double shower and a jacuzzi thrown in. The pool area has also been finished to a very high standard, with an infinite pool and a large, covered, outdoor dining area. This has been finished in a more rustic Croatian style, but still to a very high standard, and adds a wonderful juxtaposition to the ultra modern interior. There is a fabulous built in barbecue area, which is where I spent most of my time 🙂 There is a daily cleaning service, and laundry change, and all of the staff we met were very friendly and very trustworthy. However it is for another reason that I would thoroughly recommend this property to anyone who is interested, and that is not just the beauty or location of the property. The number one reason to stay at Villa Gumonca is the warmth, personality, customer service and overall attention to detail of the property owner, Sanja Sinovcic. No task was too much, and she always ensured that we were treated like royalty. No task was too much, and she always ensured that we were treated like royalty. Our family, including two young children, stayed at the villa to celebrate a special occasion. We couldn't have asked for a lovelier setting. The location is perfect for exploring Brac. Within walking distance is a nice little beach. Also nearby is a shady trail for walking, running or biking. 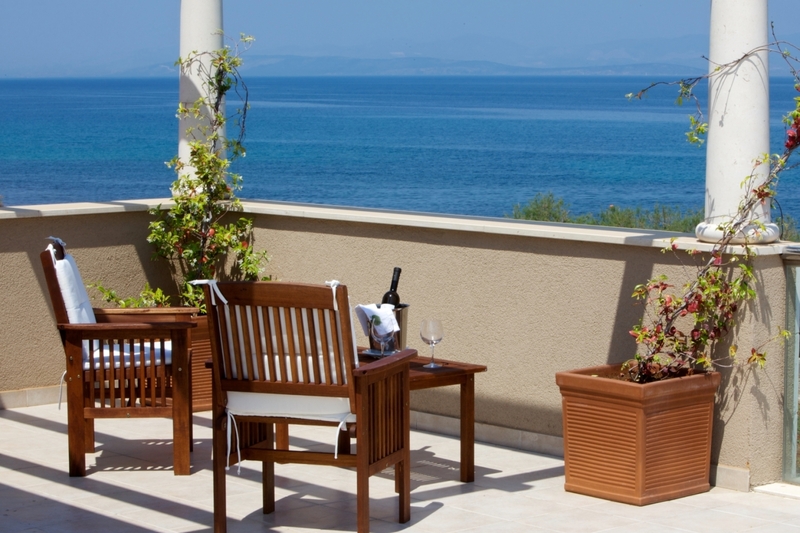 The accommodations are modern, clean, and comfortable, and the terrace and pool provide beautiful views of the sea. The staff is friendly and accommodating. We would recommend taking advantage of opportunity to have a chef prepare regional specialties and serve them on the terrace. We couldn't have asked for a lovelier setting. The location is perfect for exploring Brac. We had a fantastic stay here. The villa was perfect, excellent bedrooms and bathrooms and a very good kitchen. The outside space was also perfect, just as it looks in the pictures. The location is wonderful, just metres from the beach. We had hour of fun swimming in the sea and jumping off the jetty. Sanja was a excellent host. She arranged luxury transfers for us at a low cost and was there to greet us when we arrived. Anything else we wanted, she sorted quickly and easily, like hiring bicycles which were delivered to the villa, and picked up the next day. The local area is very small, a shop 10 minutes walk away for basic supplies and a restaurant and bar. The restaurant did fantastic pizzas (1 min walk away) but stopped serving on the Thursday because of the end of season. That wasn't a problem, we were happy to eat in every day after that, or take a 10 minute taxi to the Town of Supetar with numerous restaurants. I would highly recommend this villa for a group of friends (We were 5 couples, aged 28-40) or just a couple with a larger budget. Everything is exactly as it seems on the details. Although it often looked too good to be true on the details, it really is like that. And the weather in September was still very hot, perfect for sitting by the pool all day. Everything is exactly as it seems on the details. Although it often looked too good to be true on the details, it really is like that. Everything for my birthday was so perfect and exactly how I imagined! It is something that I will remember forever! You were so very helpful with everything and the food and massages were wonderful!A real treat and made everything just that extra bit special!So thank you from all of us, and I hope to return to Croatia very soon! Everything for my birthday was so perfect and exactly how I imagined! It is something that I will remember forever! Immer wieder gerne! Eine sehr geschmackvolle Villa, wo es an nichts fehlt! Sie sollten unbedingt das 3 Gänge Menue wählen, welches sehr liebevoll zubereitet wird und am Pool serviert wird. ... Danke Dir Sanja!! We were 3 families staing at the house, with a total of 5 kids, ranging from 1-8 years old. The kids had a fantastic time at the hous. Lots of space, great pool, and a fantastic view. Everything about the house was great. It was clean, nice kitchen area, lots of bedrooms, and our host was very proactive and helpful. Our host helped us with everything, and even joined us the the emergency room when one of the kids were sick. We had a great stay! We highly recommend a stay in this villa! The kids had a fantastic time at the house. Lots of space, great pool, and a fantastic view. We arrived late at night on the Island of Brac via a Jadrolinija ferry. Sanja, the property manager, met us at the villa, with a huge welcoming smile. The house itself was impeccable. We couldn't imagine that it could be even more beautiful than that of what we saw in the pictures. It was humongous, with a master bedroom, ensuite (with a jacuzzi), a beautiful and very large terrace on the top floor, with a gorgeous modern kitchen, dining room and living room. The most beautiful part of the villa was the outdoor space, with plenty of sun loungers, great views, a stunning infinity pool, a fantastic shaded area with a large table for our group. Needless to say, there was plenty of space for all of us, it was impeccably clean, and we were really impressed with the cleaning service each day. Similar to a hotel, a lady would tidy the beds, bathrooms, and the floors each day, while we were all busy enjoying the rays outside. The beach was mere meters away, with a large pebbled area, as well as a pier which resulted in a lot of fun hours of jumping into the warm Adriatic sea. The island has so much to offer, that we only wish we could have had more time at Villa Gumonca! We couldn't imagine that it could be even more beautiful than that of what we saw in the pictures. We are on Tripadvisor! Read or write reviews here!